Revisit your value proposition. Times have changed and what you offer your clients may have changed as well. Does your written value proposition reflect these changes? Don’t have a value proposition? Create one! Nailing down this messaging will help you focus your marketing efforts and better communicate with customers. Discard what isn’t working. 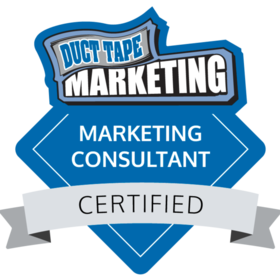 Set aside some time now to review what did and didn’t work in your 2010 marketing program. What could you have done better? What wasn’t a good fit for your firm? Consider ditching what didn’t show a return for your company and reallocating those budget dollars to more effective tactics. Reach out and listen to your customers. Feedback from your customers can be critical to uncovering the next opportunity for your company. Starting this quarter, make it a point to call several customers to ask how you are doing. Remember problems = opportunities. If you are asking for honest customer feedback, you’re going to hear about the bad as well as the good. Act on feedback and let your customers know what you’ve done. This can improve relationships and help you uncover opportunities for new products, services or processes. Get active in social marketing. If you are not at least on the social media sites that are relevant to your target audiences, then you are missing the boat. An easy way to start getting connected is through the industry and trade associations in which you have memberships. You can also check out this Twitter post. Generate news consistently. Having a presence in local and online media can firm up your position as the brand leader in your industry. Not sure what to write about? Pick something that is related to your area of expertise and is of value to your audience. For example, an IT client of mine sends out press releases about their participation in industry conferences. Work with associations. Many of my clients are members of professional or trade associations that reach audiences who are prime targets for their services. These associations are always looking for sponsors for their websites, meetings, conferences, and webinars. Evaluate your trade and industry associations and consider investing a portion of your marketing budget in marketing through them if they have the right audiences for you. Commit to continuous learning. When you’re running your business day-to-day, the latest trends and advances in your industry can pass you by. Take advantage of your association memberships by attending face-to-face or virtual conferences to learn about industry trends, technologies and best practices. Commit to attending at least one webinar, industry meeting or conference quarterly. Then take your learning one step further by using what you learned to develop and market new products and services. Get out of your office. Make it a point to get out of your office a least once a month and meet a client or colleague for coffee. Focus on learning more about the other person’s business challenges. You’ll come away with a fresh perspective and it may help you uncover opportunities for your own company. Learn about SEO. If you do any marketing at all through your website – and who doesn’t these days? – then you need to understand how and why search engines like Google find your site, and what you can do to improve how easily your site is found. Investing the time and effort to understand the basics of search engine optimization, or SEO, will help you develop meaningful content for your website – content that is picked up by search engines. A good source of SEO info for both beginner and expert is Search Engine Land. Check out the site’s How To articles. Clean up your website. Your company’s website can get cluttered over time, making it difficult for visitors to navigate easily. Content also gets stale, making it less likely that visitors will stay on your site or return again. Review your site pages and get rid of or revise content that is no longer relevant. Consider adding a blog to provide site visitors with valuable insights and information about your products or services. For more about creating engaging content for websites and blogs see my 15 Tips for Creating Content post. Manage your lists. When was the last time you updated your email or direct mail lists? List quality can mean the success or failure of marketing campaigns, so take the time to purge old names. You’ll also want to put a plan in place for acquiring permission-based contacts, whether from a list rental, Google Ad campaign or other sources. Add video. It may be hard to believe that YouTube is the second largest search engine behind Google. But video is here to stay and can be a major source of referrals to your website. By putting up videos, says Tim Ferriss, an angel investor and New York Times bestselling author, you open up a whole new channel for sharing and connecting to the biggest word-of-mouth platform in the English language. Continue the discussion. 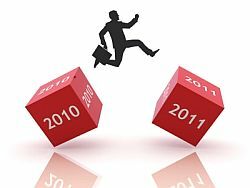 What are you doing to improve your marketing in 2011? Please share your thoughts in the Comments section. Get more information. Check out more of The Marketing Advantage blog and visit the rest of the Advantage Marketing website to learn about the marketing communications and social media services we offer.